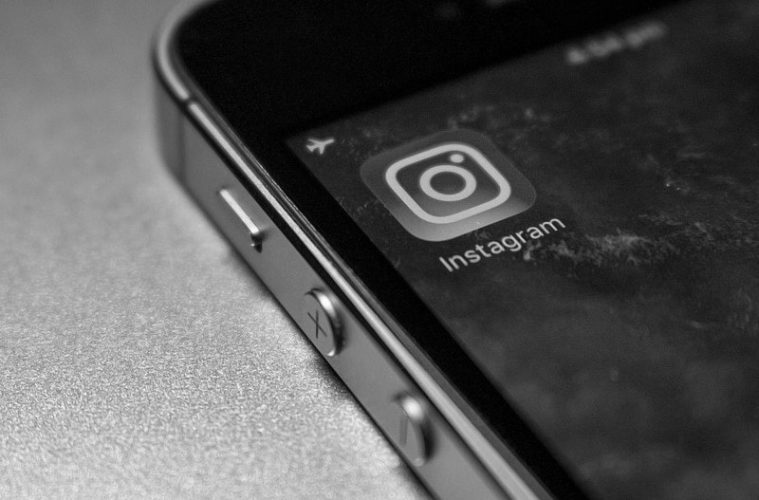 Activate Dark Mode on Instagram – Instagram dark mode. In my previous article, I have written a few methods to activate dark mode on Facebook. And, after Facebook, Instagram is the App, that most people use. 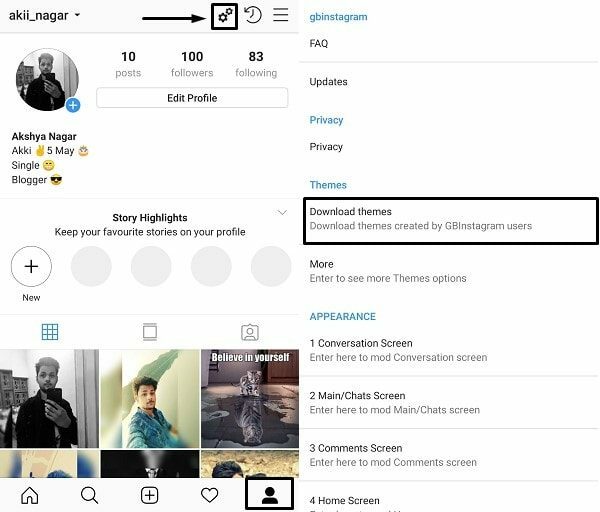 Like Facebook, Instagram App also doesn’t come with an option to enable dark mode. If you use Instagram too much. Then, Dark Mode can help you to save your smartphone battery. Also, will help you to reduce eye strain, while using a smartphone at night. So, this article is gonna be really helpful for you. Though, there isn’t any official method to Activate dark mode on Instagram. That’s why, in this article, I will tell you a few methods to activate Dark Mode. 1 Activate Dark Mode on Instagram. 1.1 Use the Samsung Browser. 1.2 Download GB Instagram App. 1.3 Use the substratum theme engine. Activate Dark Mode on Instagram. 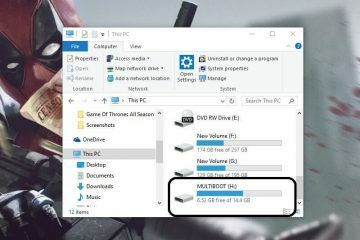 If you own a Samsung smartphone, then this method is best for you. Although, if you don’t own a Samsung device. Still, you can install the Samsung Browser from play store. Because the browser does support Android 5.0 and above. In the Samsung Internet Browser, you don’t need to add an extension for the dark mode. It already comes with a night mode feature. Though, the night mode isn’t specially designed for Instagram. But still, it works with Instagram absolutely fine. With one tap, this feature will enable a dark theme in the whole browser. In Google’s Chrome browser this feature currently in beta testing. But, In Firefox, with dark mode add-on, you can enable night mode. If you want to activate dark mode on the Instagram App only, then check out the next method. 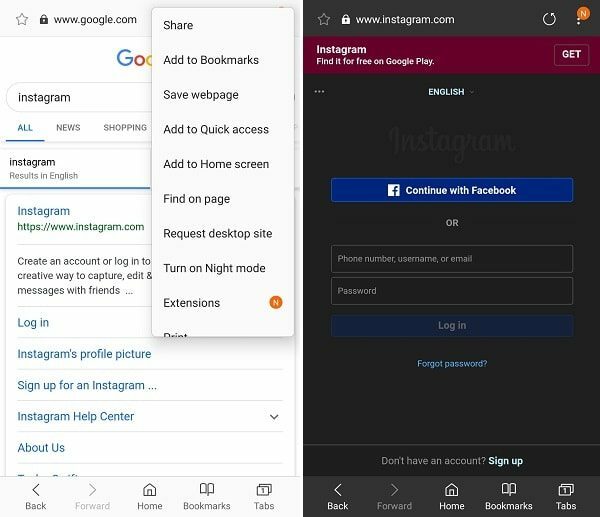 Activate Instagram Dark Mode in Samsung Internet Browser. 1. Open the Samsung Internet Browser. Tap on three dots from the upper right corner to access the menu. And, from the menu, tap on “Turn on Night mode” option. 2. Again, tap on three dots > Settings > Accessibility > Enable “High Contrast Mode”. 3. That’s it. Now, open the Instagram site and log in with your details. And, you will able to see dark mode got activated on Instagram. 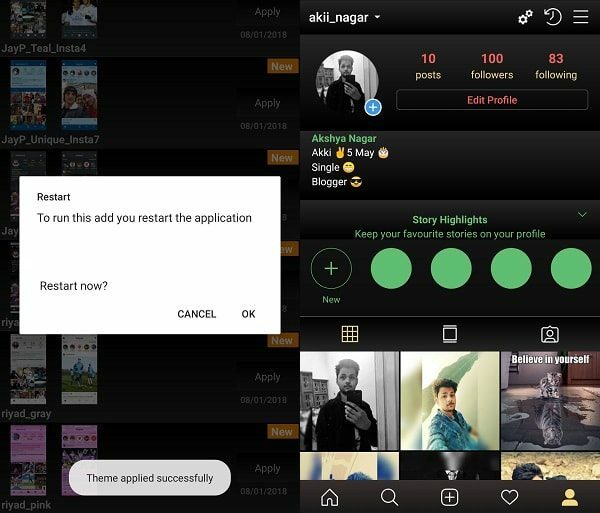 Warning – This is the modded Instagram App. So, don’t use your main Account in it. If you own multiple Instagram Accounts. Then only, this is the best method for you. 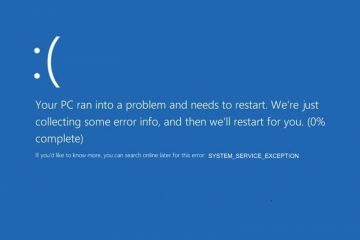 Else, try the next method, that is for the rooted smartphone. GB Instagram is a modified version of the official Instagram App. It allows users to download Photos, Videos, and Stories. Also, you can zoom in/out the photos. The best part is you don’t need to root your smartphone. The app comes with inbuilt themes option. You can even translate and copy comments. Overall, the modded App offers everything you want in the official Instagram App. 2. Tap on Profile Icon. And, after that, tap on the settings icon. 3. In GBInsta Settings, under the themes section, tap on ‘Download themes’. A list of themes will appear, now find the dark theme and then click on Apply. 4. The small popup screen will now appear, tap on OK to restart. That’s it. Dark mode Instagram App got activated. Use the substratum theme engine. As I said earlier, the Instagram App doesn’t come with an option to enable dark mode. But, there is an App called, Substratum theme engine. That allows enabling dark theme in the Instagram App. The substratum is basically a theme engine, that lets the user to apply various themes. Personally, I have tried pitch black and swift black theme. Both themes allow applying a dark theme in the Instagram App. Though to use substratum, you need to root your smartphone. Or, if you’re using Android Oreo, then you can try andromeda ★ AOSP rootless 8.x (Beta). Andromeda allows using substratum without rooting the smartphone. 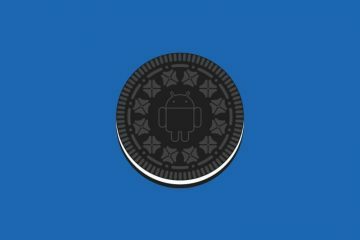 And, if you’re using Oreo, then check out my article on “Install Substratum Android theme“. That’s it. These are the only methods currently available to activate dark mode on Instagram. If you like to use the web version of Instagram. Then, you can download the Samsung internet browser or can use Firefox with Dark mode add-on. Or, if you want to enable dark mode in the Instagram App only. 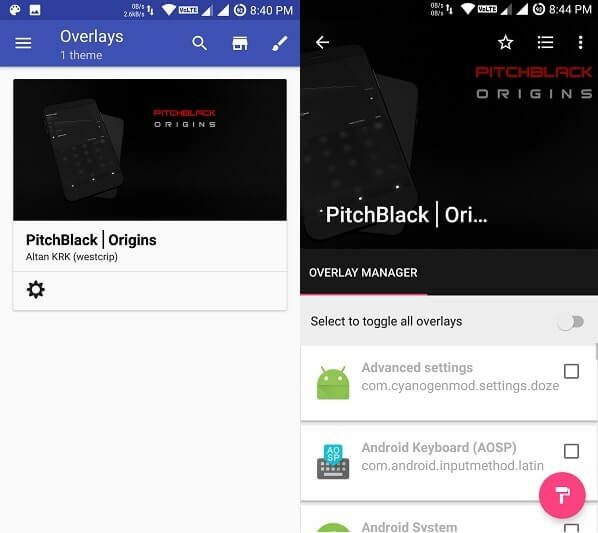 Then, you can install the pitch black theme using substratum. Or, if you don’t want to root your smartphone, then download the modded Instagram App. That comes with many advanced and useful feature. Previous ArticleActivate Dark Mode in Facebook and Messenger App. Next ArticleWhatsApp Dark Mode – Enable Dark Mode on WhatsApp. 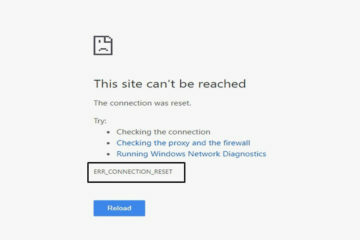 ERR_CONNECTION_RESET Chrome Error (SOLVED) Working Solutions.